Geraldine Ferraro, the U.S.'s first ever female vice presidential candidate died recently, aged 75. A leftist Democrat, Ferraro got her position, the same way many other senior Dems did - with the help of Marxists. It is a central theme of this blog that Barack Obama was promoted to the U.S. presidency, by an alliance of several Marxist groups including Democratic Socialists of America. While this sounds far-fetched to some, there is nothing new about socialists working inside the Democratic Party to put "their" candidates into very high positions. The late Millie Jeffrey was a leader in United Auto Workers and a high ranking Democrat in Michigan and on the national stage for decades. 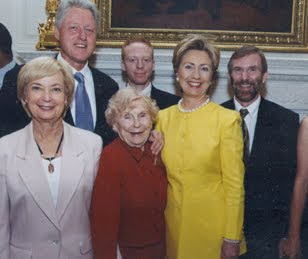 In 2000 President Bill Clinton presented Millie Jeffrey, with the nation's highest civilian honor bestowed by the U.S. Government, the Presidential Medal Of Freedom, with the citation stating that those awarded "have helped America to achieve freedom." In the 1950 and 60s, Jeffrey was a Democratic Party National committeewoman from Michigan. In 1960, she helped campaign for John F. Kennedy, as a member of the Democratic National Committee. After mobilizing the Michigan Democratic Party behind JFK in 1960, she then reportedly pushed JFK to initiate the Peace Corps. Millie Jeffrey quit the DNC in the late 60s to protest the Vietnam War and to work for Robert Kennedy. Less publicized were the facts that Millie Jeffrey was also a long time leader of Democratic Socialists of America, a "midwife" to the radical Students for a Democratic Society and a veteran of the communist infiltrated Women's International League for Peace and Freedom. Jeffrey also traveled to the Soviet Union in 1969 and to the Peoples Republic of China in 1974. According to Democratic Socialists of America member and prominent journalist Harold Meyerson, Millie Jeffrey was an influential power broker inside the Democratic Party. From her perch on several Democratic Party commissions, and using the contacts she’d acquired in 40 years of liberal activism, Millie built enough support for this wild-eyed notion that it was adopted by the 1980 convention. 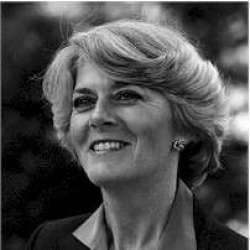 Next step was placing left-leaning Geraldine Ferraro on the Democrat ticket as the Party's first female vice presidential candidate. Millie then became “the unelected leader,” in the words of her co-conspirator Joanne Howes, of a committee of seven Democratic women promoting the idea of a female vice presidential candidate on the 1984 ticket. “By the fall of 1983,” recalls Howes, “we came to the conclusion that the right person was Gerry Ferraro” – then an obscure member of Congress from Queens. That required augmenting Ferraro’s visibility and bona fides, and as a result of “Millie’s strategic thinking,” says Howes, the group successfully pressured the party and Walter Mondale to make Ferraro chair of the convention platform committee. The rest is herstory. Joanne Howes, like Millie Jeffrey, was close to D.S.A. 's parent organization, the Democratic Socialist Organizing Committee. Howes was also a founder and remains a board member of the U.S.'s largest Political Action Committee Emily's List which specializes in financing "Democratic, pro-choice women candidates". This is a good example U.S. left works inside the "Democratic" Party. A small group of party "insiders", led by socialists were perfectly capable of putting "their" candidate into the Number 2 spot on the Democratic Party ticket. So much for the "democratic" part of Democratic Socialists of America. In 20 years time, will Democratic Socialists of America, or their Communist Party and Committees of Correspondence for Democracy and Socialism allies finally admit their role in putting Barack Obama into the White House? If they do, it will only because they no longer fear any opposition. Thank you for articles like this Trevor and for all of your great research. One down. A few hundred thousand to go.